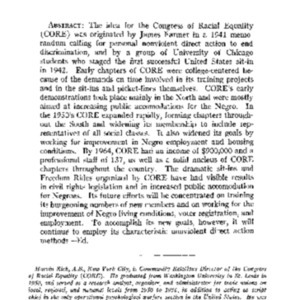 This is a PhD dissertation on New Orleans CORE and Washington, D.C. CORE. It was done by Kristin Anderson-Bricker while she was at Syracuse University. 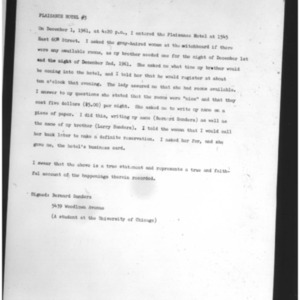 These are documents from the papers of the Congress of Racial Equality that list and discuss Bernie Sanders as a leader and a member of CORE. 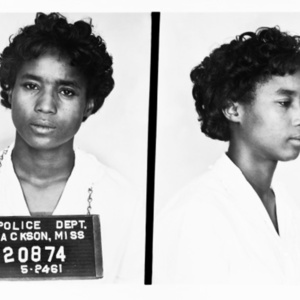 This is the arrest photo of New Orleans CORE member Jean Thompson as a Freedom Rider. 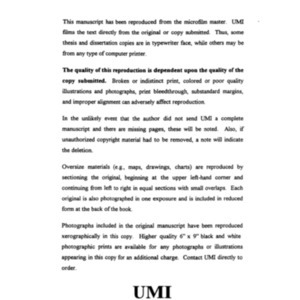 In the photo, she is only 19 years old. 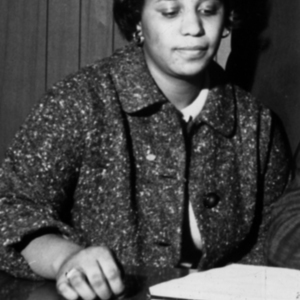 Along with her sisters, Alice and Shirley, she was one of the earliest members of New Orleans CORE. 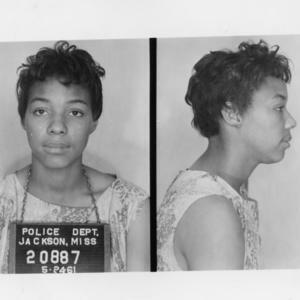 This is the arrest photo of New Orleans CORE member Doris Jean Castle as a Freedom Rider. 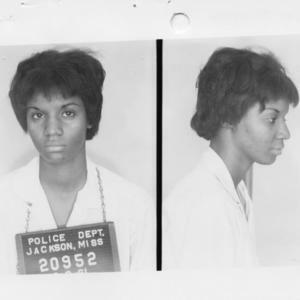 She was 18 at the time and is the younger sister of New Orleans CORE chairman Oretha Castle. 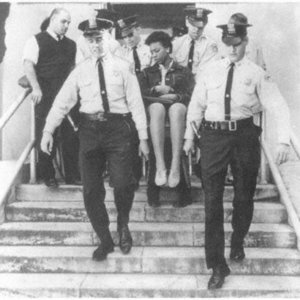 This is a 1963 photo of New Orleans CORE member Doris Jean Castle being removed by police from a demonstration at the local City Hall. 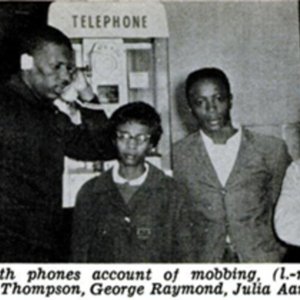 This is an audio clip of New Orleans CORE chairman Jerome Smith talking about an incident form his childhood growing up in segregation that influenced his eventually becoming a civil rights activist.